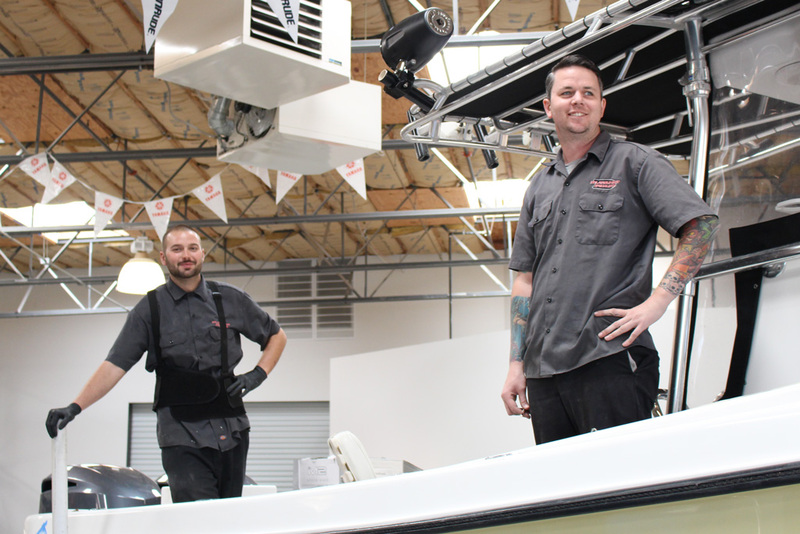 Welcome to Inflatable Boat Specialist's Service Team! We have been servicing the local communities in Ventura and Santa Barbara and beyond since 1976. Our technicians have been certified and trained through the manufacturers, including Zodiac, Yamaha, Honda, and more. The team have spent their lives working on boats and motors and it shows in their workmanship and passion. We complete the smallest of jobs to the biggest of jobs; from simple carburetor rebuilds to electronics, fiberglass repair, bottom paints, rigging, live sea trials, and more. We service and diagnose outboard engines from Yamaha, Honda, and Tohatsu. We also service electric outboard motors from Torqeedo. Many of the common parts are stocked, ready to go. Our team stands behind their work. While inflatable boats are our bread & butter, you will find us working on sportfishers and other large power yachts with outboards. 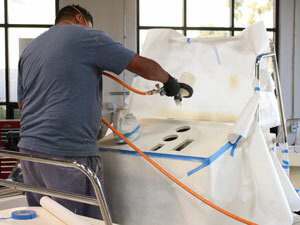 From simple leak tests to complex fuel tank replacements, we are comfortable on any boat.